One in ten marketers have no strategy, an industry report of the year’s activities revealed today. Just 36 per cent of marketers have a strategy written down, compared to 42 per cent last year alongside the one in ten don’t have any form of strategy at all. The new research by the Content Marketing Institute (CMI) also shows that the country’s content marketers believe they have become less effective at their jobs over the last year. 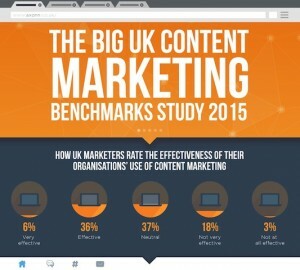 The annual report, sponsored by UK content marketing agency Axonn Media, Content Marketing in the UK: 2015 Budgets, Benchmarks and Trends, shows a decline in the confidence of content marketing practitioners. Only 42 per cent of marketers questioned said they are effective or very effective at content marketing, down from 48 per cent a year ago. But one of the biggest surprises in the report, which is widely used to define key trends, metrics and goals for the year ahead, is that many marketers are still not working to a documented strategy. However, the importance of strategy cannot be overlooked as the research found those with a documented strategy are 36 per cent more effective in all areas of content marketing. Seven in ten marketers with a written-down strategy said they were effective at content marketing. Founder of CMI, Joe Pulizzi said: "There are two critical factors that differentiate effective content marketers over the rest of the pack - having a documented content marketing strategy and following it very closely. Those two things make all the difference." 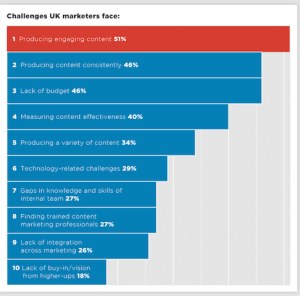 "It’s fascinating to see how UK marketers have shifted their goals for content marketing over the last year to focus more on engagement, leads, and sales. There’s been this big increased emphasis on lead nurturing in particular, with the percentage who cite it as a goal nearly tripling. This tells me that a lot of marketers have taken a closer look at what they want to achieve with content marketing, and I suspect the next step for many will be to fine-tune their strategy around those goals." 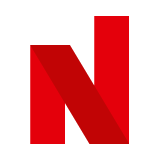 The report also found UK marketers target on average four different audiences – with one in ten targeting seven or more – and use an average of eight different tactics to reach these audiences. Perhaps unsurprisingly, the most popular tactics to use are online with the vast majority of marketers using social media channels (89 per cent), eNewsletters (88 per cent), blogs (85 per cent) and website articles (82 per cent). But not all online channels proved so popular. Only 41 per cent of marketers use webinars to target audiences, 33 per cent use digital magazines, 32 per cent use mobile apps, 23 per cent use virtual conferences and 22 per cent use podcasts. The full results of the survey are available here and Fergus Parker, CEO of Axonn Media, will be joined by Pulizzi, founder of the CMI, in a webinar to discuss the report findings in more detail and give marketers advice about what to focus on in 2015. The webinar takes place on December 11th at 15:00 GMT. Register to attend at https://www.axonn.co.uk/webinars.